Another permit has been filed with the state for site preparation work related to the River Country DVC Hotel. The new hotel, named “Reflections – A Disney Lakeside Lodge”, will sit near the old River Country water park site at Wilderness Lodge. The permits filed yesterday aren’t exactly the most exciting, but they signal another important step in the construction of the resort. As outlined below, a new access road is going to be built near the old Stolport site. 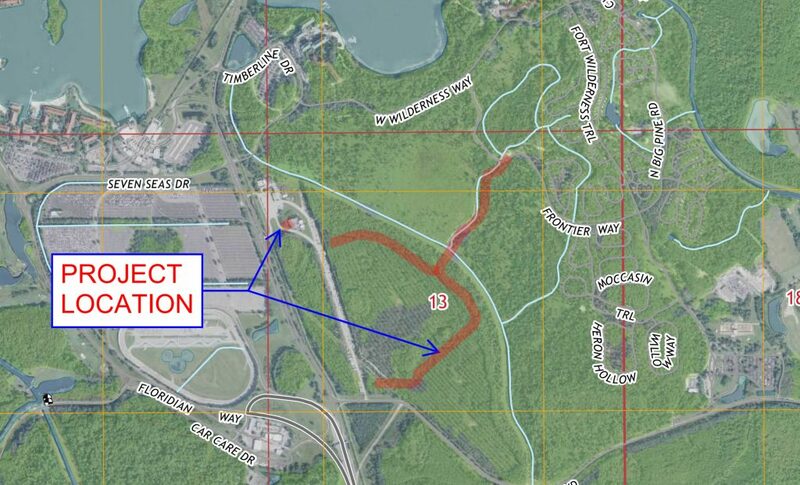 A north and south access road will take construction vehicles from World Drive into Wilderness Lodge and Frontier Way. 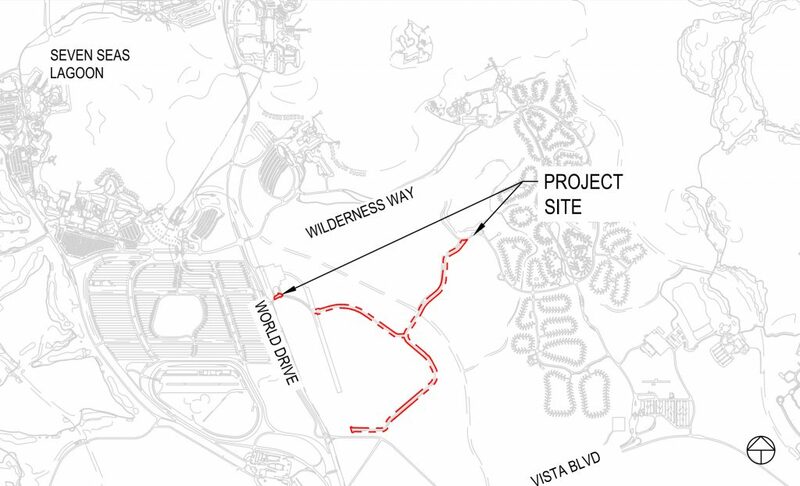 Here’s another look at the permit and where it connects to both World Drive (via Stolport), and Vista Blvd. As a refresher, here’s a look at the concept art for Reflections – A Disney Lakeside Lodge. The new nature-inspired, mixed-use Disney resort will welcome families in 2022 along the shoreline of Bay Lake. The deluxe resort, which will be themed to complement its natural surroundings, will include more than 900 hotel rooms and proposed Disney Vacation Club villas spread across a variety of unique accommodation types.